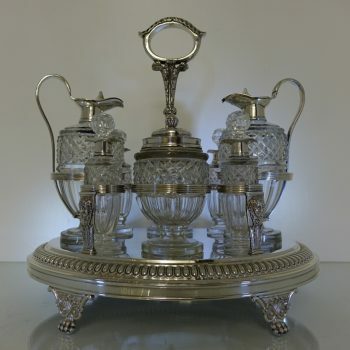 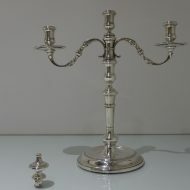 A very elegant pair of circular three light candelabra. 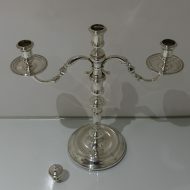 A very elegant pair of circular three light candelabra, plain formed in design with sunken in wells and inter-spaced strap work designs for highlights. 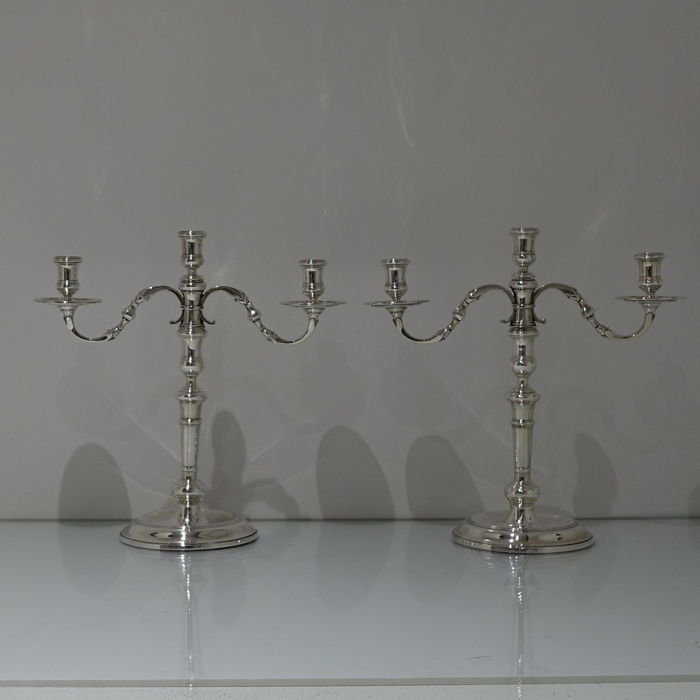 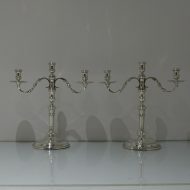 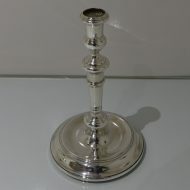 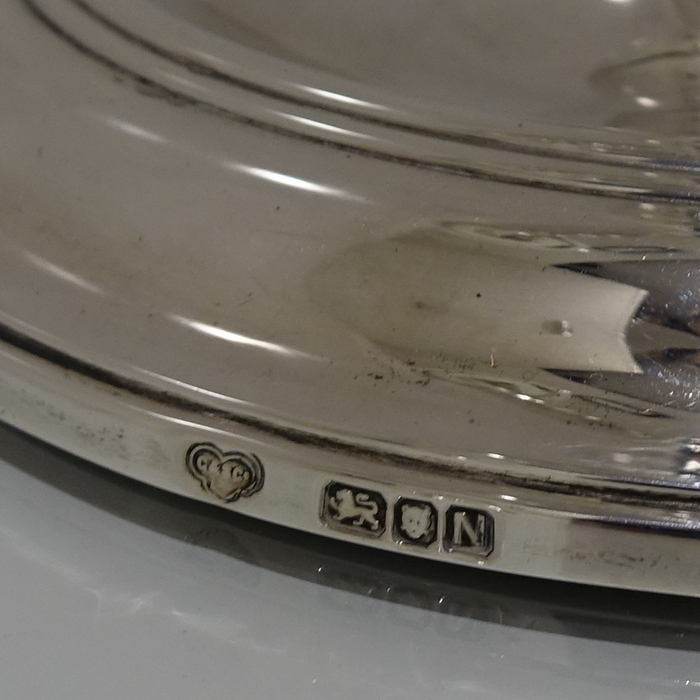 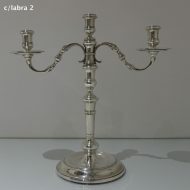 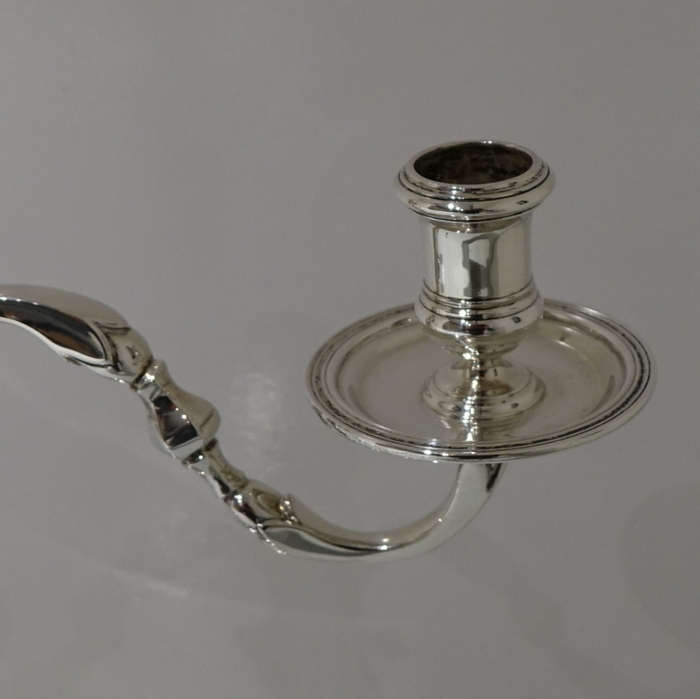 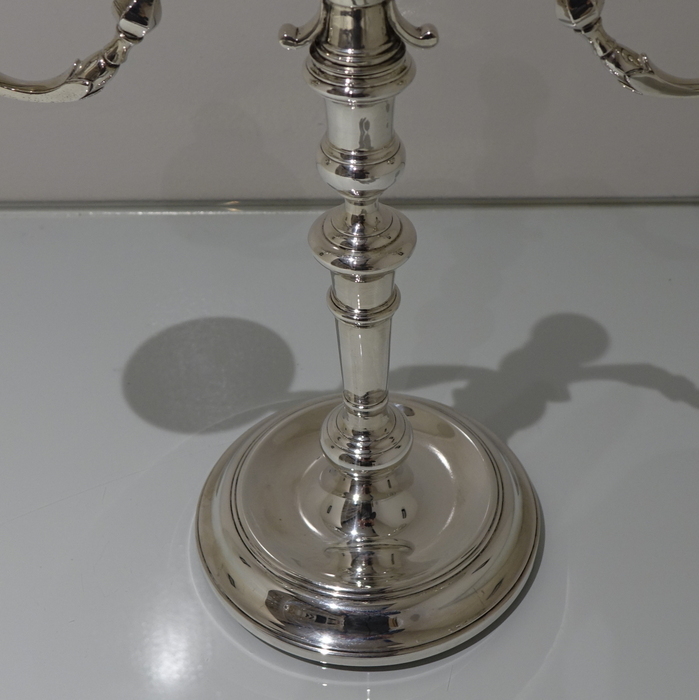 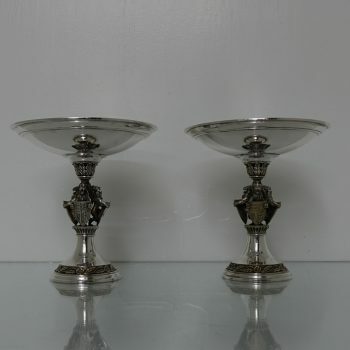 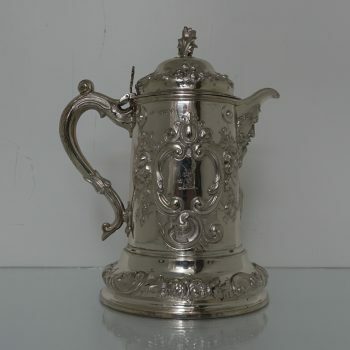 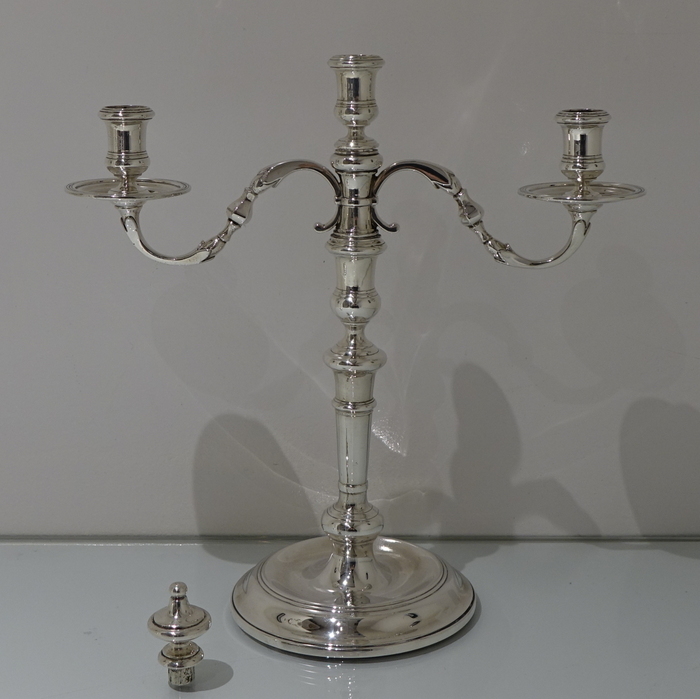 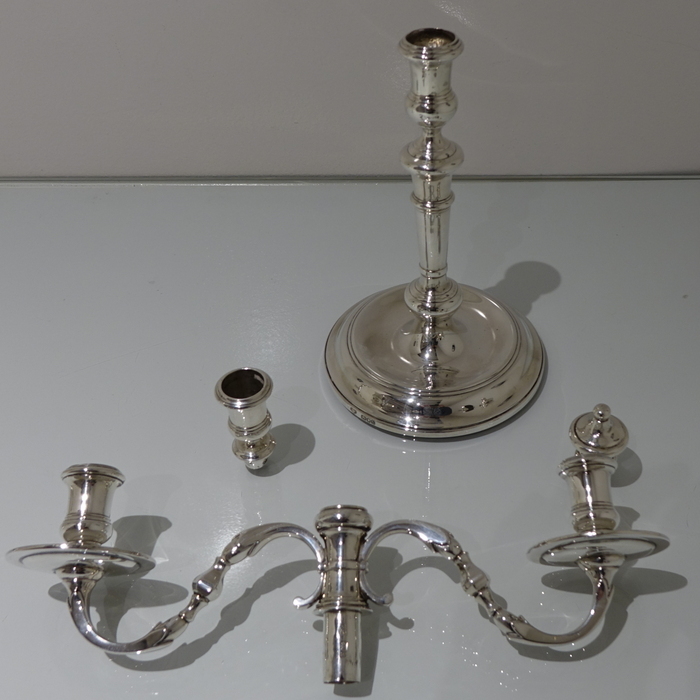 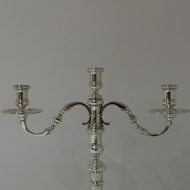 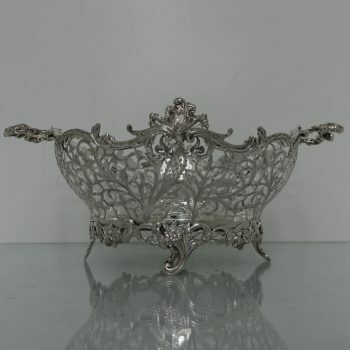 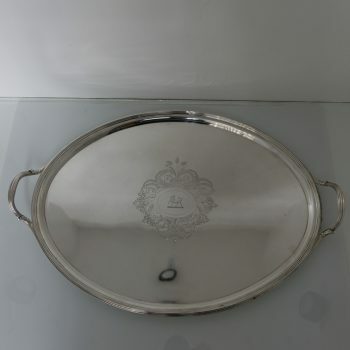 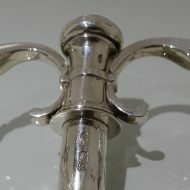 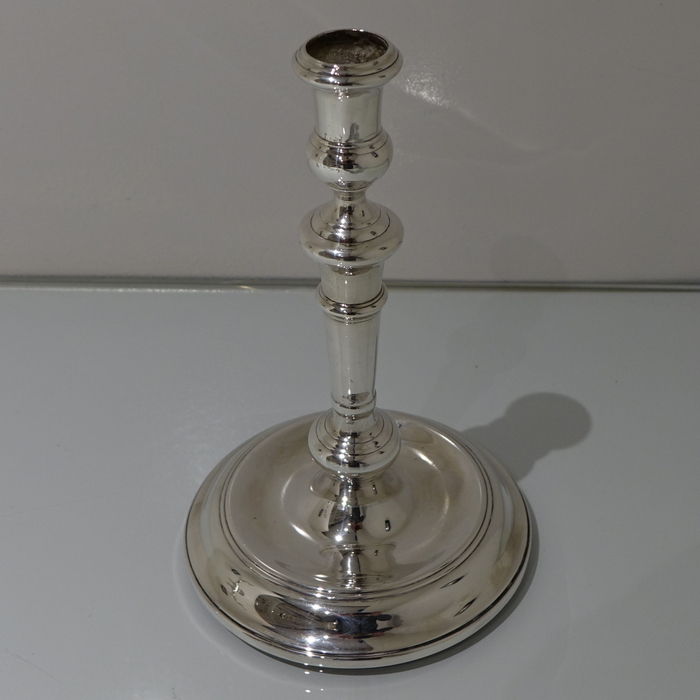 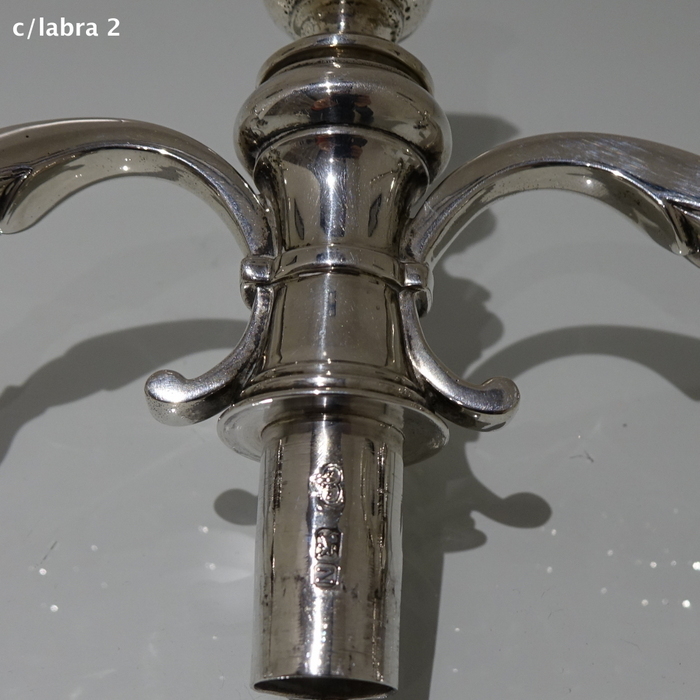 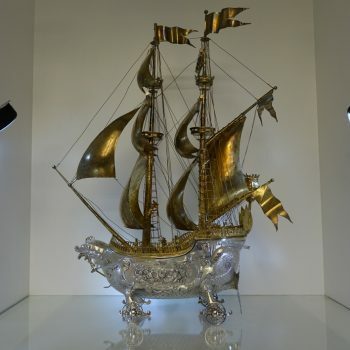 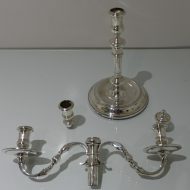 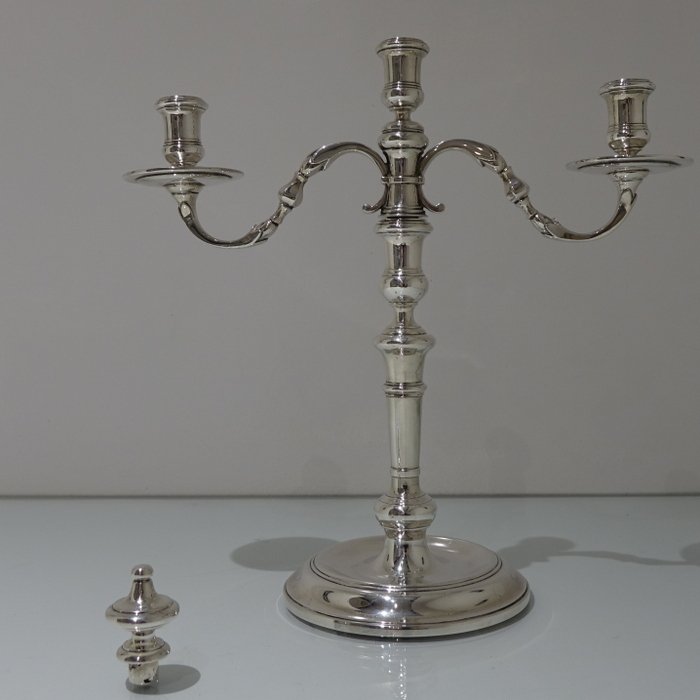 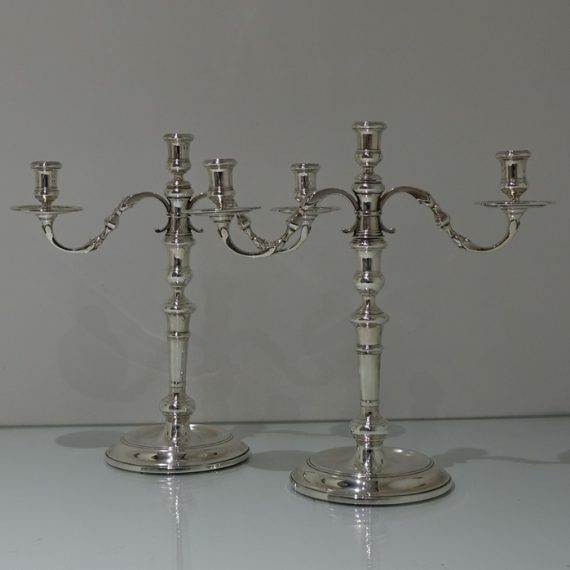 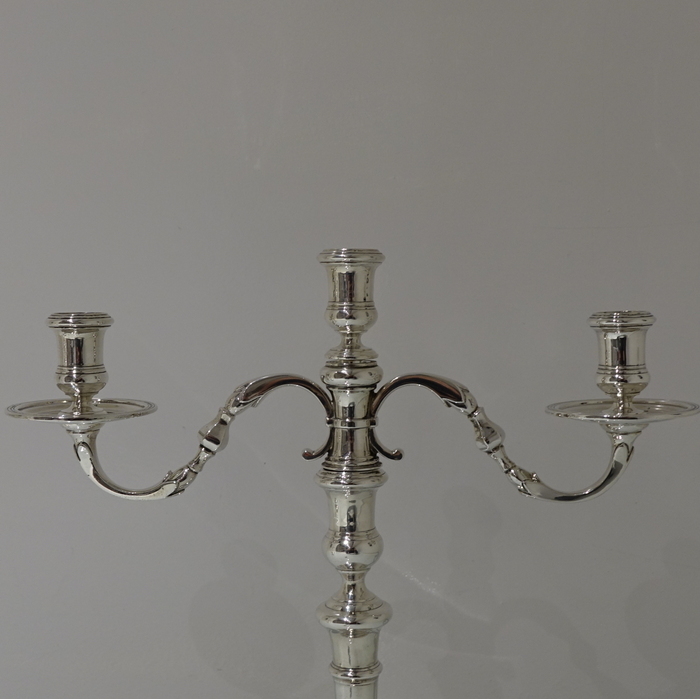 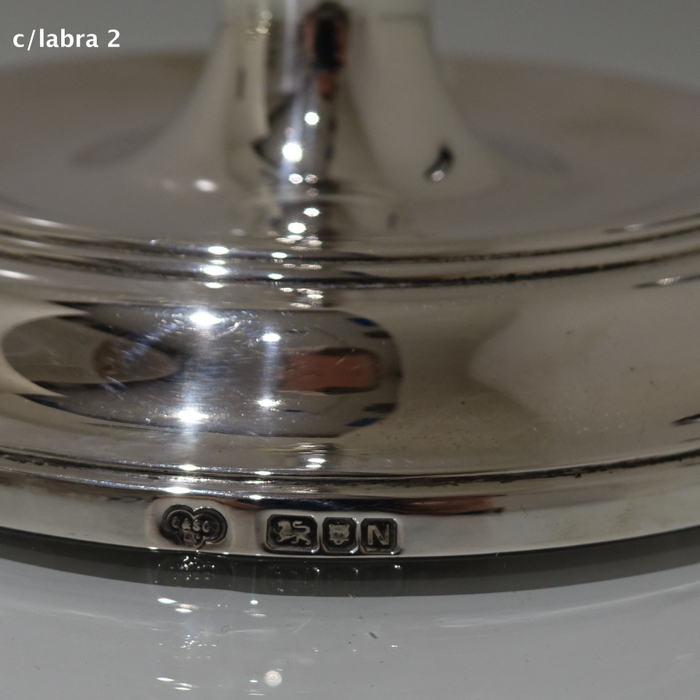 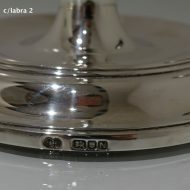 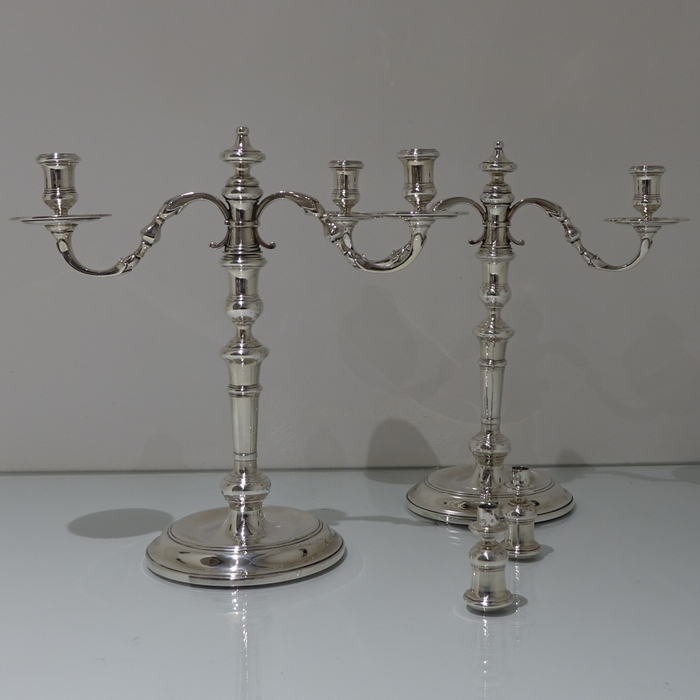 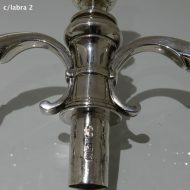 The pair of candelabra’s also come with an additional snuffer/flame which enables them to convert to two lights.